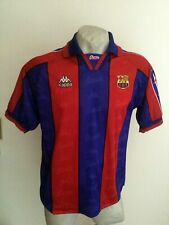 BARCA BARCELONE. N°23 DE LA PENA. TAILLE XXL/D8. LEGERES TRACES USURE - VERY GENTLY USED Scroll / Faire défiler annonce. La taille que j’indique est celle de l’étiquette lorsqu’elle est lisible. Bien lire l'annonce et regarder les photos avant d'acheter. USED CONDITION WITH BALLS. height 71 cm. IN VENDITA SPLENDIDA GIACCHETTA DELL' F.C. BARCELLONA. logo societario su toppa. guarda le nostre inserzioni NON SARANNO ACCETTATE. 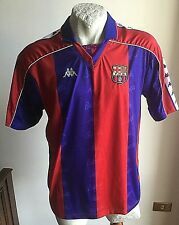 MAGLIA AWAY BARCELLONA 1997-1998. originale ROBE DI KAPPA. Maglia nuova senza etichette, ma mai usata. MADE IN ITALY! EQUIPE -TEAM :BARCELONA. largeur- large:54 cm. hauteur-hight:71 cm. 3:bon état/ good condition. FC Barcelona. 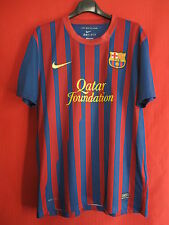 Due to the age of the football shirt and the usage before, they can show signs of wear. When ordered you will receive exactly the shirt shown on the pictures. Fotos, die. Beachten Sie die. Trikot / Jersey Aufgrund des Alters kann das Trikot. Due to the age of the football shirt and the usage before, they can show signs of wear. When ordered you will receive exactly the shirt shown on the pictures.